The Wärtsilä service quay in Rotterdam harbour has been updated. Most radical renovation: the old crane has been replaced by two on-demand mobile cranes. 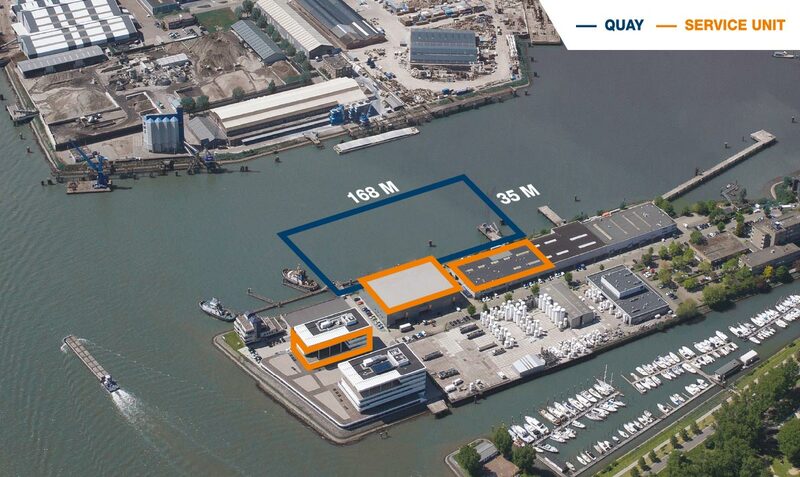 Wärtsilä provides quay facilities and service (maintenance, repairs) at its own quay at a top location in the middle of Rotterdam Harbour. Any inland waterway vessel, nearly every coaster and any other ship that fits within the quays dimensions and draft can tie off easily, right next to four extremely well-equipped Wärtsilä workshops. Niek Aarts, General Manager Field Service for Wärtsilä Benelux: "What we offer here is remarkable: a free berth - you don't pay any docking fees at our quay – where you can get maintenance or repairs right away. So you don't even have to leave Rotterdam Harbour. An extra plus is that we have many parts in house, allowing our customers to save not only time, but also on transport costs. And all this with our competitive workplace rates." The entire quaywas rebuilt in recent months. The iconic old crane had to leave. In its stead, Wärtsilä now offers the deployment of mobile cranes that can be rented on call. "That's pleasant for our customers since they get a crane equipped with all the latest technologies. With the removal of the old crane, we had the opportunity to improve the configuration of the quay. This works much better for everyone", according to Niek Aarts. The combination of a quay with workshops at this top location is a godsend. Aarts: "We can offer solutions to vessels with engine problems extremely quickly. The cherry on top is that our customers can watch over our shoulders during the work activities. Technicians often find this interesting, but sometimes it's absolutely necessary to have a second set of eyes on site – e.g. in order to properly consider a decision with financial consequences. 4 workshops with the most modern equipment: workshops for four-stroke components, propulsion, metallurgy and turbochargers. Grounds also accessible to customers outside opening hours.